This innovative duo by Redken contains the Pillow Proof Blow Dry Express Primer and Genius Extender which work as a team to give you perfected locks. Working to prolong your blow dry whilst protecting from heat and absorbing excess oils, this duo is a must have. K.D. 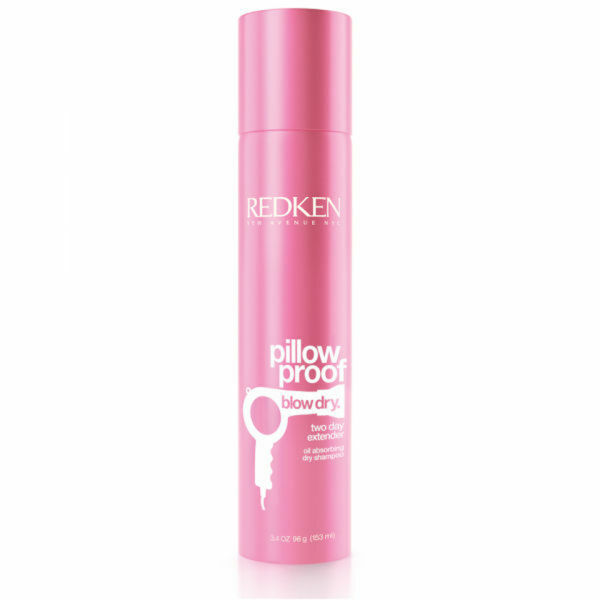 Formulated with an innovative 'thermal blanket' of flexible silicone resin which coats the hair for protection against 450° F heat, the Redken Pillow Proof Blow Dry Express Primer is a must have. Working to repair the hair from the inside out, this unique spray also works to reduce blow drying time, meaning you can achieve voluptuous, shiny locks in less time! The Pillow Proof Blow Dry Genius Extender by Redken features a formula which works to absorb excess oil in the hair whilst instantly refreshing to give an invigorating feeling. Created with a luscious aroma, this spray will extend the length of your blow dry and prep your lock for the ultimate 'updo' by giving each hair extra grip. A multi-tasking product that'll give you salon fresh hair for longer!